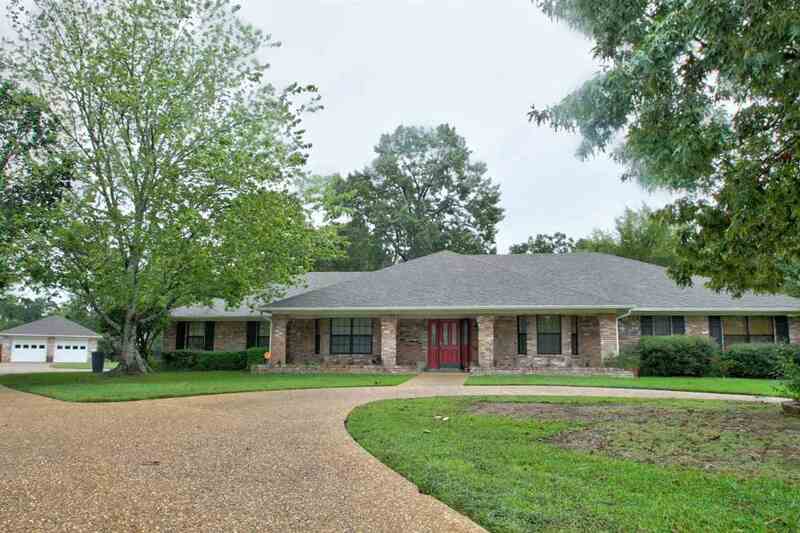 13 Lauren Dr, Texarkana, AR.| MLS# 101688 | Travistene Turner of Texarkana Realty Group 903-244-1293 | Texarkana Area Real Estate | Contact us to request more information about our Homes for Sale in the Texarkana Area area. Fabulous Location at the end of cul-de-sac in desirable Arkansas neighborhood. This home offers updates galore. New paint throughout inside and out, Custom roller shades, custom barn doors, new flooring, new iron fencing around large yard, and many more updates. The sunroom overlooks the large deck with hot tub, firepit and pool. For extra storage or parking there is a large workshop. The kitchen features a HUGE island that overlooks the large family room perfect for entertaining. The master bath is perfect, with seperate vanities and HUGE walk in shower and 2 large walk in closets, all of which has been updated with top of the line finishes. Come see this one before it is gone.